Thus Schlessinger is not merely an ideological liberal, but a partisan Democrat, an advocate and defender of FDR’s New Deal economic program, and it is from this specific perspective that he conceives of The Vital Center. Now, ask yourself why this book was written and published in 1949. What was the political context? The electoral magic of the New Deal did not outlive its creator. After FDR’s death in 1945, and in the wake of a hard-fought victory in World War II, American voters were ready for a change. Republicans won big in the 1946 mid-terms, gaining 55 seats in the House to capture a 246-188 majority and adding 13 Senate seats for a slender 51-seat majority in the upper chamber. The GOP controlled Congress for the first time since the Hoover administration. To understand the electoral mood at the time we need only note that among the new Republican members were Rep. Richard Nixon of California and Sen. Joe McCarthy of Wisconsin. It was widely charged that, at the 1945 Yalta Conference, Roosevelt had surrendered Eastern Europe to Stalin’s Soviet Union. In March 1946, Winston Churchill delivered his famous “Iron Curtain” speech at Fulton, Missouri. Suspicion that Democrats were “soft on Communism” was heightened in investigations by the 1948 House Committee on Un-American Activities, which exposed former State Department official Alger Hiss as a Communist agent. Harry Truman was an ineffective and deeply unpopular president. Labor unions, near their peak of membership — some 35% of workers belonged to a union in 1948 — nearly paralyzed the economy with a series of strikes. The Democratic Party split three ways in the 1948 election. Southern segregationists nominated Strom Thurmond on the Dixiecrat ticket and left-wingers nominated former Agriculture Secretary Henry Wallace on the Progressive ticket. 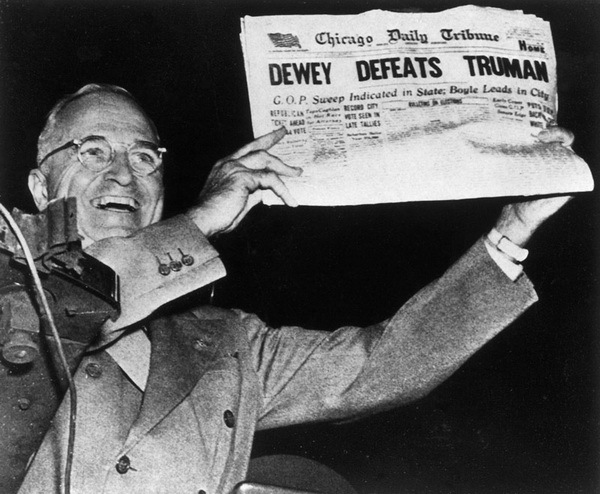 It was only because of an extraordinarily weak campaign by Republican nominee Thomas Dewey — and, as Republicans charged, widespread vote fraud — that the famous “Dewey Defeats Truman” headline wasn’t true. Truman squeaked past with plurality margins of less than 1% in California (25 Electoral College votes) and Ohio (25 Electoral College votes), while carrying Illinois and its 28 Electoral College votes by barely 30,000 votes out of more than 4 million. Had the Republican vote been 1% higher in those three states, Dewey indeed would have defeated Truman. Although he narrowly won re-election, Truman had campaigned against what he called a “do-nothing Congress,” and that message seems to have had its effect, so that the Democrats picked up 75 House seats and nine Senate seats, recapturing the majority in both houses of Congress. Despite the Democratic successes of 1948, however, young liberals like Arthur Schlessinger — then in his early 30s — had witnessed since FDR’s death three years of extreme political volatility which had exposed the fragility of the Democrat’s New Deal coalition. And all of this domestic turmoil was taking place against the foreign-policy backdrop of Stalinist belligerence (the Soviets would explode their first atomic bomb in August 1949) and Mao Zedong’s Communist Revolution in China. 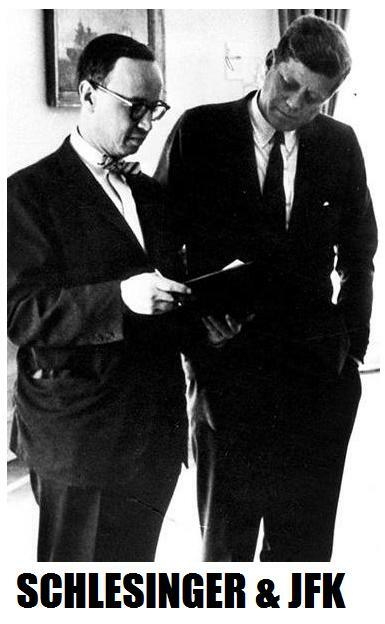 It is important to note that in 1947, in the immediate aftermath of the GOP’s 1946 congressional victory and two years before the publication of The Vital Center, Schlesinger had joined with Eleanor Roosevelt, UAW president Walter Reuther and others to create Americans for Democratic Action. The first task of this major liberal organization task was to prevent the Democratic Party from being captured by Communist influence. Henry Wallace’s Progressives were very much pro-Soviet — “peace” — and Wallace was endorsed by the CPUSA. Separating the Wallace faction from the New Deal coalition was painful for the Democratic Party. In 1948, Wallace got more than a half-million votes in New York, enough to tip the state to the Republican Dewey, and the Progressive vote was also enough to keep Truman from winning Michigan and Maryland. It was partly the fact that we did not need so desperately to believe in the Soviet utopia. Franklin Roosevelt was showing that democracy was capable of taking care of its own; the New Deal was filling the vacuum of faith which we had inherited from the cynicism and complacency of the twenties, and from the breadlines of the early thirties. Partly too the Soviet Union itself was no longer the bright dream of the twenties . . . What we saw in the Russia of the thirties was a land where industrialization was underwritten by mass starvation, where delusions of political infallibility led to the brutal extermination of dissent, and where the execution of heroes of the revolution testified to some deep inner contradiction in the system. . . [H]istory had spared us any emotional involvement in the Soviet mirage. The degeneration of the Soviet Union taught us a useful lesson, however. It broke the bubble of the false optimism of the nineteenth century. . . . The Soviet experience, on top of the rise of fascism, reminded my generation rather forcibly that man was, indeed, imperfect, and that the corruptions of power could unleash great evil in the world. We discovered a new dimension of experience – the dimension of anxiety, guilt and corruption. This is an amazing declaration of a remarkably empty faith. In the immediate aftermath of World War II, with half of Europe in ashes and the other half under Stalin’s heel, did Schlesinger really think this rejection of totalitarianism to be something so “unique”? Against whom, other than the pro-Soviet Left, did Schlesinger’s “contemporary liberalism” stand so uniquely in opposition to totalitarianism? This faith [i.e., contemporary liberalism] has been and will continue to be under attack from the far right and the far left. In this book I have deliberately given more space to the problem of protecting the liberal faith from Communism than from reaction, not because reaction is the lesser threat, but because it is the enemy we know, whose features are clearly delineated for us, against whom our efforts have always been oriented. It is perhaps our very absorption in this age-old foe which has made us fatally slow to recognize the danger on what we carelessly thought was our left — forgetting in our enthusiasm that the totalitarian left and the totalitarian right meet at last on the murky grounds of tyranny and terror. I am persuaded that the restoration of business to political power in this country would have the calamitous results that have generally accompanied business control of the government; that this time we might be delivered through the incompetence of the right into the hands of the totalitarians of the left. Am I the only one who finds this outrageous? Whatever the sins of Corporate America, it does not deserve — and has never deserved — to be compared to the murderous despotism of Stalin or Hitler. There was not in 1949, and has never been, any real danger of the kind of “reaction” that would lead us to that “murky grounds of tyranny and terror” against which Schlesinger warns. Conservatism in its crisis of despair turns to fascism: so progressivism in its crisis of despair turns to Communism. Each in a sober mood has a great contribution to make to free society: the conservative in his emphasis on law and liberty, the progressive in his emphasis on mass welfare. But neither is capable of saving free society. Both, faced by problems they cannot understand and fear to meet, tend to compound their own failure by delivering free society to its totalitarian foe. You see then, that, Schlesinger has arranged the political spectrum in just such a way that his “vital center” can be filled by one thing and one thing only: Liberalism. Well, what is this Schlesingerian liberalism? What does it believe? What does it advocate? What are its fundamental tenets? And exactly why the hell is it so “vital”? Probably Schlesinger would have objected to that description, but if Buckley’s definition of 1950s liberalism was wrong, what exactly was the true definition, beyond the specific policy issues involved in the defense and expansion of the New Deal? The minimum wage, the 40-hour week, a progressive income tax, and Social Security — well, yes, liberals believed in those things, but mere policy details cannot be said to comprise the foundations of a political philosophy. 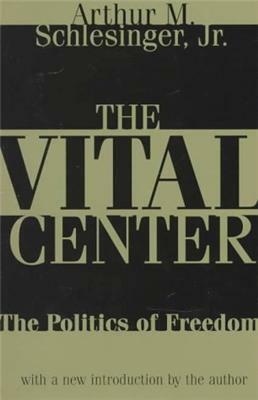 Remember that The Vital Center was written by a liberal Democrat at a specific time to achieve a specific political goal. Whatever value it had at the time, isn’t this Cold War artifact entirely obsolete two decades after the fall of the Soviet Union? This is why I roll my eyes whenever anyone employs the term “center-right” to describe the political aims of conservatism. Chasing a “center-right coalition” is to pursue a will-o’-th’-wisp into a swamp of confusion. It’s a snipe hunt, because so long as liberals have any influence in defining the terms — and their dominance in media and academia assure them that influence — the “center” will always be someplace acceptable to liberals. Instead of fretting about the center, then, conservatives should aim to build a conservative majority. And one key to building that majority is to speak blunt truth about the idiocy of “centrism” — the kind of idiocy that permits people in Pennsylvania’s 12th District to vote for Mark Critz and think the result will be anything other than the advancement of a liberal agenda. It is time to say good-bye to The Vital Center. Damn the Blue Dogs, and to hell with the RINOs. Let’s define the distinctions between conservatism and liberalism so clearly that nobody who pays attention can doubt what side they’re on. UPDATE: Welcome, Instapundit readers! To be linked as an addendum to Jesse Walker’s excellent examination of Frankfurt School psychopolitics is a great honor. The still-popular concept of American conservatism as a form of crypto-fascist neurosis dates back to the same era when Schlessinger wrote The Vital Center. Accusing liberalism’s critics of harboring secret totalitarian longings, of opposing liberalism because they are emotionally stunted or sexually repressed, neatly averts any discussion of whether liberal policies actually work. Time has shown the New Deal state is a beast that can’t be controlled; it doesn’t have any limits and it doesn’t recognize any limits. This is the basic problem with liberalism — it has no definite goal and no logical stopping-point short of the Total State. There must always be some innovative new policy or program, some “crisis” that requires liberal intervention. And, just for the record, I don’t like it when Republicans attempt to emulate this crisis-mongering aspect of liberalism. During the Nixon era, we got wage-and-price controls and the Environmental Protection Agency; Reagan let Mothers Against Drunk Driving bully him into nationalizing the drinking age at 21; Bush 41 promised to win The War On Drugs; and Bush 43’s presidency gave us No Child Left Behind, the USA-PATRIOT Act and the Department of Homeland Security. Vital Centrists: Welcome to the fencerider’s rodeo. Sage advice: Pick a side and get on it. 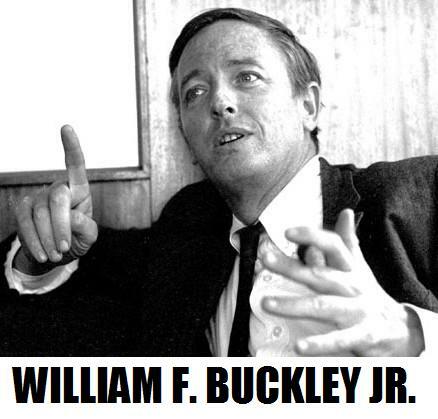 William F. Buckley Jr.–vote for the most conservative candidate who can win. However, centerists are wishy-washy when it comes to elections. Case in point: How many times have Conservatives advertised themselves as Conservatives? And compare that with Liberals who hid their designation since 1994. Centerists go with whatever tides come through — thus the strongest local and strate structure with a determined candidate wins. Obama lied to get into office in 08 (with help from the media), now he has a record and everyone from tea partiers to expat dems know they will be called “RAAAAACISTS,” if they oppose. So in short, stand strong for your Conservative beliefs, the “center,” will follow. Schlesinger was one of the first liberals to attempt to create a category which hadn’t really existed, and it was indeed a frightened reaction to the first truly “conservative” movement in America – the wave of younger Republicans coming into Congress and public life not as traditional Republicans, but as war veterans who had put their own lives on the line. Smart guy – he saw the danger before conservativism had even coalesced into a coherent philosophy of governance – Buckley’s “God and Man at Yale,” Kirk’s “The Conservative Mind: From Burke to Santayana,” and National Review were still years away, and Ronald Reagan was still a Democrat. Liberalism could defend itself well enough in the ivory towers of the academy, where all is theoretical and the thought process was the only end result, but was already finding that in practical application virtually all their economic theories failed miserably. The Left’s long romance with Soviet Communism also represented a deadly dagger of their own making. There was desperate need to camouflage – something to differentiate themselves from what were now our avowed enemies at home and abroad, and also from being too closely identified with their own failed policies of the New Deal, and paying the electoral price they were only able to avoid because of the war. There is no viable political “centrist” force in politics, no articulable philosophy to advocate, no set of principles to defend. Where they exist at all, they are mere “split the difference” people, the weak and indecisive. For the most part, they are liberals who do not wish to take any responsibility for their beliefs, policies, or their consequences. Just check the voting records of those who win the legacy media’s fawning approval for their “moderate” views. A thick book could be written about this; I’m no historian, but the sorting and resorting of American political factions is not well understood. I find Schlesinger’s protestations a little weak; up to 1945 the Democrats were proud allies of the Soviet Union, and many were admirers. The Democrats certainly had an anti-communist faction; Schlesinger would fall into the category of those who found the relationship had become politically inconvenient, the rubes not appreciating the necessities of the Russian revolution. So the subject was declared dropped. McCarthy insisted on turning over the rock to show just how closely the liberal establishment was wrapped up with the CPSU. Such uncouthness could not be tolerated; and the wrap on McCarthy was never really that he was wrong, but that it was rude to bring up what people had done in the past and ask if they might not be doing it now. The New Deal became a matter of consensus in the US; most of what we now call conservatives were just on the right edge, while those on the left thought it was just the beginning. Time has shown the New Deal state is a beast that can’t be controlled; it doesn’t have any limits and it doesn’t recognize any limits. My father was born the same year as Schlesinger, but unlike Schlesginer he did not enjoy Schlesinger’s elite education or social status. Grandpa lost his business during the Depression, and the whole family — 10 kids, two parents, one unmarried aunt — lost their home. Dad’s three older brothers dropped out of school to go to work and help provide for the family. They were ostensibly the very people that FDR was supposedly trying to help with the New Deal: that 1/3 of the nation ill-clothed, ill-housed, ill-fed. And yet Dad told me, when I got old enough to be curious & ask about his political development, “FDR made me a Republican.” Even at that young age, even without the prep school & Harvard learning, even being one of the very objects of Democrat “compassion,” he could smell the odor of the statist proclivities that somehow eluded Schlesinger. Not bad for a jock from the mean streets of Philly. BTW, Dad did go to college for 2 years on an athletic scholarship (to OSU, ironically, where Schlesinger’s dad taught), but this was interrupted by Pearl Harbor. He went into the Marine Corps, served in WWII and Korea, and to the end of his days loved the Corps and hated Communists. Not very “centrist” of him. Then again, he didn’t give a flip about this kind of false moderation. He was an “extremism in the defense of liberty is no vice” kinda guy. I’ll assume the “sentimentalism” on the right that Schlesinger was criticizing was the flag-flying expressions of American patriotism. What Schlesinger did not appear to see, or perhaps did not want to see, is that there was plenty of sentimentalism among New Dealers: namely, the desire to feel good about (supposedly) doing good for “them” (the recipients of government largesse, natch). I think we can now accurately judge, some sixty years hence, whose “sentimentalism” has been more damaging to America. My jarhead Dad was right. The guy with the Hahvahd degree was wrong. Conservatism in its crisis of despair turns to fascism: so progressivism in its crisis of despair turns to Communism. BTW, this is false equivalence on Schlesinger’s part. He wants us to think that statism of one flavor or another is the evil-twin side of both conservatism and progressivism. When in fact it is only progressivism that has statism, in its all-too-common expression of totalitarianism, at its heart and in its basic nature. American conservatism, OTOH, seeks to conserve the Constitutional Republic we were bequeathed: a limited government with strictly enumerated powers, and a populace which enjoys a full range of individual liberties. This is the track record of progressivism in America: Saboteurs when out of power, bureaucratic tyrants when in it. Conservatives and libertarians? When frustrated, they … form Tea Parties. And draw Mohammed. There is only one way to perfect a human being and it has nothing to do with liberals or their drivel. Perhaps that is the root of the problem. Liberals think they are gods and through their manipulations, social programs, etc., push real truth out of the public square. When you talk about “the kind of idiocy that permits people in Pennsylvania’s 12th District to vote for Mark Critz” you sound like one of those liberal Democrats who can’t understand why the people won’t vote for their candidates. The Republican Party needs to find its way back to the vital center. And it ain’t where Schlessinger said it was either, so don’t go looking there. Many historians and pundits have refused to credit Ronald Reagan’s policies for helping to bring about the Cold War victory, blaming communism’s chronic economic problems. Yet, like Scheslinger, they failed to describe it as inevitable while Reagan was actually in office.” ………….. Stung by this criticism, a small group within HICCASP, including RKO executive Dore Schary, actress Olivia de Havilland, and FDR’s son James Roosevelt, decided to put their fellow members to the test. At the July 2, 1946, meeting, Roosevelt noted that HICCASP had many times issued statements denouncing fascism. Why not issue a statement repudiating communism? Surely that would demonstrate that the organization was not wholly communist. Reagan rose quickly and offered his support for the resolution, and a furious verbal battle quickly erupted. Musician Artie Shaw stood up and declared that the Soviet Union was more democratic than the United States and offered to recite the Soviet constitution to prove it. Writer Dalton Trumbo stood up and denounced the resolution as wicked. When Reagan tried to respond, John Howard Lawson waved a menacing finger in his face and told him to watch it. Reagan and the others in his group resigned from the organization. Sorrell gathered his resources for the fight. Along with financial support from the Communist Party, he also could count on help from Vincente Lombardo Toledano, head of Mexico’s largest union and described in Soviet intelligence files as an agent. The slender, well-dressed and poised young lawyer was one of Moscow’s most trusted agents in Mexico, regularly putting his resources behind Sorrell, providing money while pressuring Mexican film industry executives not to process any film from Hollywood as a show of solidarity. He also appeared at a rally in Hollywood to encourage the strikers. Sorrell and his allies wanted to shut down the studios entirely, so anyone who crossed the picket line became a target of violence. Jack Warner insisted on keeping up production, and the studio remained open. To avoid injury, workers, including stars who were shooting movies, were forced to sneak into the studio lot through a storm drain that led from the Los Angeles River. Reagan, getting ready to start production on “Night Unto Night,” was furious about the violence. And unlike his approach to the little battle with the Communists in HICCASP, he was not in a mood to retreat. Blaney Matthews, the giant-sized head of security at Warner Brothers, had seen this sort of violent strike before. He advised Reagan and other stars to use the storm drain to get onto the lot safely. Reagan flat-out refused. If he was going to cross the picket line, he was going to cross the picket line, he told Matthews. Matthews then arranged for buses to shuttle Reagan and a few others through the human gauntlet outside the studio gate. But he offered a bit of advice: Lie down on the floor, or you might get hit by a flying Coke bottle or rock. Again, Reagan refused. Over the next several days, as he went to the studio lot to attend preproduction meetings, a bus would pass through the human throng of violent picketers, with a solitary figure seated upright inside.”……….. So we see that Rosa Parks was not the only one to ride a bus for freedom. That’s exactly where I am these days. Bring it on. It took 2 or 3 decades for the American Left to figure out the soviets in particular and communism in general was evil and less than 2 decades to forget the same. This has always been and to this day remains one of the most significant intellectual weaknesses of all strips of the left from postwar liberals to Karl Marx. They can’t determine the difference between Conservativism and Reaction. Estragon writes “There is no viable political “centrist” force in politics, no articulable philosophy to advocate, no set of principles to defend. Where they exist at all, they are mere “split the difference” people, the weak and indecisive.” As well put as can be. This is why I call Moderates or the “Center” the quagmire of cowards. Stacy, between this and your Rand Paul posts, you have absolutely been on fire this week! Keep up the great work– this was an extremely insightful article.